Another author recently said to me that they didn’t agree with giving a book away for free, and there are definitely arguments for both sides. After all, you have poured your heart into your book, over months, or even years, why should you give any of it away? You deserve every penny you can make from that book? But are readers going to make a purchase on a writer they are unfamiliar with? As I mentioned in the E-volution of marketing article – you need to nurture your readers and build a relationship with them, not keep forcing the hard sell down their throats until they simply give in. Readers want to trust you, but if they don’t know you, they will be less inclined to risk spending money on you. Supermarkets have got it perfected! How often have you been in a supermarket where they gave taster samples of a new food away? You think, “what have I got to lose, if I don’t like it I haven’t wasted any money on it.” If you like the sample, chances are the store has conveniently got a special offer on the full sized product, and you make a purchase. (If the store doesn’t have a special offer on, chances are there will be a money off coupon in the sample packet for you to use on your next visit.) So, you leave the store with a purchase you didn’t go in for, and, of all things, with a product you didn’t even know existed until ten minutes ago. If you don’t buy the product there and then, at least you know about it for next time. Whilst putting your shopping into your car you bump into your friend. “Quick,” you say to her, “go in there, they’re giving away these new chocolate bars, they’re really tasty.” That sample of food has now generated word of mouth advertising – that was a very powerful freebie! In walks your friend and the whole process starts again. Marketing your book can work in exactly the same way. You want to introduce potential readers to your book, but more importantly and for a longer lasting relationship, you need to introduce them to you. Most writers don’t write one book and never pick up a pen or open their laptop again. Usually, once one book is written, we are eager to get on with the next one. So, if you give part of your first book, or even the whole of the book, away to readers and they like it, you’ve developed a ready made readership that will be eager to read every successive book, and this time paying for them. But, like in the example above, it also helps to generate word of mouth advertising and stimulating conversation is most definitely the way forward in this digital social world. Other authors have used it. I remember some years ago I was reading the sunday newspaper and amongst all of the supplements and magazines that came with it, there was an A6 size booklet. It was a sample that contained the first 1 or 2 chapters from an authors new book. That author was James Patterson. Does James Patterson need to give away a sample of his new book? No, certainly not, but at the time, it would have gently coaxed readers that had not tried his work before, or had been unsure whether it was right for them, to read it. Guess what I did that week – I went and bought the complete book! You are looking to build a readership for your books. Notice the plural on the word book. You want readers to read all of your books, not just one. You want to build a loyal following that get excited about new releases, or go and watch the film adaptation of your book, buy your merchandising and overall, buy into your brand – you! Amazon also understand the importance of letting readers try before they buy. They have the ‘Look Inside’ option for authors to opt in or out of. When a potential reader views your book, the last thing you should want is for them to turn away from your sales page just because they can’t read a few pages of your book. They need to trust you and want to see if it is right for them. If they like the small sample, they are more likely to buy, especially with the simple one click method that Amazon use. Once you are an established name and have people clambering to get your new book, then you will probably have second thoughts about giving some, or all of your book away for free, but for now it is an easy way of building a readership. 10 formats your freebie might take? Activate the ‘Look Inside’ function on Amazon. If readers have taken the time to find you, they want to look at you book. Tease them with a sample. If you are also distributing your books through other sources such as Smashwords, Barnes & Noble, Sony Reader, Kobo or a via a publisher’s website, make sure you opt in to allow book samples. Include samples of your books on your website or blog. This can simply be a page with a chapter or two on, or something a little more interactive. Have a look at http://www.flipsnack.com. Here you can download a sample of your book to their website where they will convert it into an interactive book so that your readers can turn virtual pages on the screen. If you have more than one book, flipsnack will create a bookshelf for your readers to select a book from. Once you have created it within flipsnack you can embed the code into your website. You can include up to four books on your virtual bookshelf for free, but any more than four incurs a small monthly fee. For an example of this, have a look at my Interactive Bookshelf. Include sample chapters on different social media. Upload files to your Facebook page, then post the links and tell your followers they are there. With Twitter and Pinterest, post an image of your book cover and link the image to your virtual book on your website. Celebrate certain dates. Give out discount codes as gifts that coincide with certain events that might be relevant to you, your book or the characters in the book. Smashwords allow you to create Coupons that you can specify a new price, a percentage off or even give it away for free. Use your birthday as an excuse to celebrate and give people the code. Or maybe an anniversary of the day it was published, or a significant date from the book, or as part of an awareness day. Be creative but make sure it is relevant to the book. To give you some ideas, my first book, The Moon Stealers and the Quest for the Silver Bough, is partly set in Edinburgh (use celebrated dates in the Scottish calendar as an excuse: St Andrew’s Day, Burns night), and features Robert Louis Stevenson (Birthday 13 November) as well as stone circles (Winter and Summer Solstice at Stonehenge). Use KDP Select 5 day promotion. If you are a member of Amazon’s Kindle Direct Publishing (KDP) Select scheme, you will be allowed to offer your book on a free promotion for a maximum of 5 days every 90 days. If you use this idea it will gain you loads of new followers, who, if they like your work, will then go on to purchase your other books. You will often find that when the free promotion is over, sales of the book will temporarily remain high. The promotion increases awareness and boosts your chart ranking so more people get to see it. Please be aware that Amazon will remove you from KDP Select if they know that you are selling the same book through other distributors, such as Smashwords or B&N. You will still be able to sell through Amazon, but they won’t let you use the 5 day promotions and will also remove you from their lending library. Give the first book in a series for free. That way you are hooking potential readers with the first book, so you will gain sales on the following ones. To do this you will need to alter the price on Smashwords, which in turn changes the price on the Sony and B&N sites. However, it’s not as easy to reduce the price of your book on Amazon to zero. But, there is a way! On the Amazon page which shows your book, there is a link below the ‘Product Details’ that says “Tell us about a lower price”, click that and input the link of your book on another distributors website where it is available for free. Wait a few days and if nothing has happened, do it again. Eventually, not wishing to be left out, Amazon will price match. Regularly check your book on Amazon, it may occasionally revert back to the original price, in which case you just tell them of the lower price again. Host a competition. If you are a member of Goodreads, why not run a competition where their readers can win a signed book as a prize. This is a great way of putting your book in front of thousands of potential readers. Some of those that enter the competition will also add your book to their “to read” list, whether they win or not. Competitions on Goodreads, as well as other peoples sites, tend to be for hard copies of books, rather than digital copies. It is your responsibility to provide the book as well as the cost of postage. With Goodreads you can specify which country you want your competition to be shown in. If you select your own country it would reduce your postage costs, but it would also limit the potential number of people that will show interest in the book. Managed sales campaigns. Create a sales campaign that can be hosted via an external provider such as http://www.ganxy.com. On Ganxy you can create a campaign by uploading your book images and details then use it to promote your free or discounted book over all your social media outlets. You can limit the number of copies that can be redeemed and Ganxy will even analyze the performance of the campaign so that you can learn how to improve it another time. You are charged a small amount per book sold, according to the success of the campaign. Create Mini Books. Contact a good printing firm and have a small A6 leaflet made up with the first chapter of your book printed inside. Don’t forget to have all the useful information at the end so they can buy the complete book. This option does involve a cost, but if you are taking part in any offline promotions such as visiting schools, literary festivals or book events, it’s useful to have something physical to give people. Chances are the potential reader won’t have their computer or kindle with them at that specific time, meaning they won’t be able to download your sample, so the Mini Book serves as a sample, a reminder and information provider all in one. A bookmark works well as a reminder, but they involve the reader having to make more effort to actually go to your website and find the sample of your work to download. Readers want things to be easy. Give free copies of books to people who matter. You will always come across people who could prove useful to you, your career and your books. Don’t be afraid or embarrassed to use them and ask for their help. Make sure you give them a signed copy. You never know, they might work for a national radio station that runs a book club, or their niece may work with Peter Jackson, or they may work for a newspaper. Whatever they do or whoever they know, put a book in their hands, write down your email address and ask them to pass it on. Most of the time they will be willing to help you. Don’t be afraid to give away part of, or all of, your book. View it as an investment for the future that will increase your readership and gain you a ready made audience for every subsequent book you write. Would you rather sell a handful of books at full price, or thousands of books at half price? If you are planning a series of books but don’t invest in the promotion of the first one, who’s going to bother with the rest of the them? 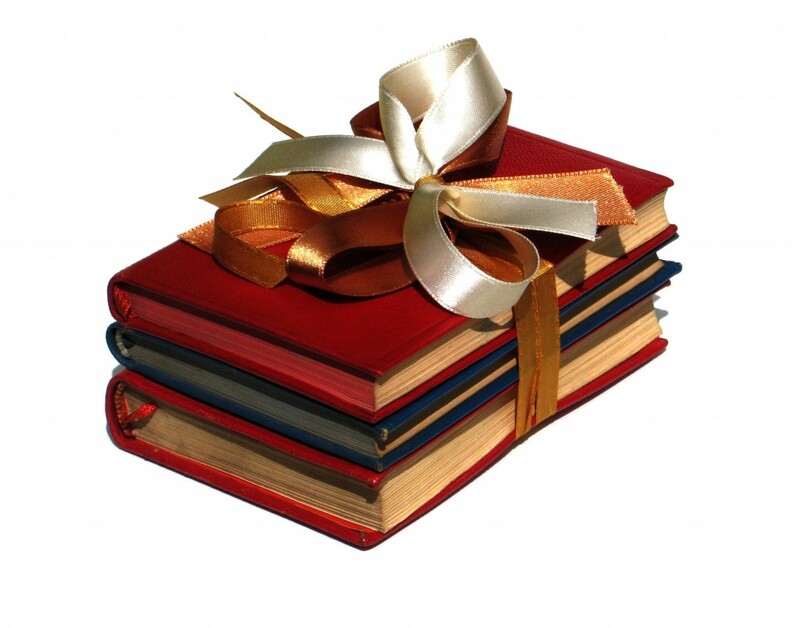 What are your views on giving away all or part of the book you have worked so hard to complete? Or, what other ways have you used your book as a promotional item?